As mentioned in pt 1, between the MSM of TV and Radio, along with all our Oiler bloggers on the Internet and fans on twitter and Facebook, the world of hockey has some real crazy talk happening out there. Sure some stuff sounds quite interesting and plausible but some stuff does not even make sense. Sometimes it is simple deduction in figuring out what is ludicrous or what has possibility. When trying to wade through the mud of the dirty waters of rumours and speculation, all you have to do is consider the few facts in front of you.When a team is over the cap, very low % of a chance that a team in that standing will trade for a player who has a high salary. It is unlikely a team will trade for a player unless they believe they can help their organization especially at the cost it takes. All those small details need to be figured out. The great insiders of the game don't just have a GUY, they have people who know or have heard that people are talking. They then do simple deduction of what are the different possibilities and demise from that conversation. After all that is done, they throw out that rumour possibility and then check out the reaction from the players, agents and the NHL clubs. Depending on what they hear, they either move forward or pull back off of the rumour. Very seldom, the great insiders know actual facts from directly within until it looks like it is almost all but over and the contract is all but signed. Smid has been speculated to be traded several times since he arrived in the Chris Pronger trade to Anaheim. He was considered a 'gem' yet Smid has always been what he is today with the exception he is bigger, stronger, and more mature.Smid is what every team is looking for. The truth is, he fits perfect into that #4 slot on the second defence pairing for even the best of teams. Don't believe me, just ask some GM's, coaches, players and play by play or colour broadcasters. Unfortunately for Smid, he has been put into a top defence pairing role and playing behind his minutes against the other teams best offensive players and sometimes people are judging his play on that. Smid, has been a warrior for us and removing him from this roster would be a big mistake IMO. There have been lots of inquiries into Smid this past off season but it is appearing more and more like MacT likes what he sees or at least for now. Some believe MacT is not a big believer in Smid but I don't see it. I think he knows what he believes and Dallas Eakins will love this guy. My only hope is Dallas Eakins uses him properly in his role and does not continue to have him playing to far over his head. Likely his name will continue to be put out there, but unless your getting a Braydon Coburn or better, it is not worth the gamble to let such a good player go. 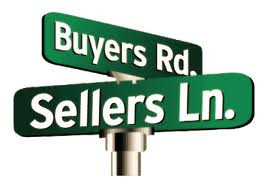 Edmonton has developed and invested in Smid for years and when he is finally a strong commodity we sell him off? Not this time folks, Smid is mostly home grown, tried and tested in Oiler silks and will likely continue to be around for a few more years yet. Early this morning Sam Gagner signed a three year deal with the Edmonton Oilers. It's has an average of $4.8 million per season. This deal comes with a no trade/no movement clause that will kick in at the start of the second year. Overall, this is a good deal for both Sam and the Oilers. Both sides avoid arbitration and walk away happy. Are you happy? Sam Gagner and the Edmonton Oilers are about to take their case(s) to an arbitrator tomorrow and it could get ugly. Most cases turn out to be an ugly mess cause on one hand, the player is trying to plead his case on why he should be paid well. On the other hand, the team has to try and cut that player down and prove he's not worth that amount of money. Generally speaking, it never ends well for either party. Feelings get hurt. Gagner has apparently asked for $5.5 million a year over a long term contract. While the Oilers do want the long term, they feel that's an over pay. They have offered $3.5 million a year. That's $2 million difference. If they split it down the middle, Gagner should get around $4.5 million over a 5-6 year term. Is that a fair market price? I think so. Hopefully we hear some news later in today and they announce a deal has been struck. Where do I start? Between the MSM of TV and Radio, along with all our Oiler bloggers on the Internet and fans on twitter and Facebook, the world of hockey has some real crazy talk happening out there. Sure some stuff sounds quite interesting and plausible but some stuff does not even make sense. Sometimes it is simple deduction in figuring out what is ludicrous or what has possibility. I am like the next guy, always interested in the next possibility, be it a trade or signing or buyout. Also when trying to wade through the mud of the dirty waters of rumours and speculation, all you have to do is consider the few facts in front of you.When a team is over the cap, very low % of a chance that a team in that standing will trade for a player who has a high salary. Sure the Oilers can keep some kind of salary but unless they are getting a need met in their organization , why would they take on salary as well? Also it is unlikely a team will trade for a player unless they believe they can help their organization especially at the cost it takes. Some teams may take on salary for depth like Dallas did with Horcoff but they need the cap room first. All those small details need to be figured out. Forget Philly, the Rangers or even Boston. Those locations sound too cash strapped to even consider his 5 Million and unless they send back something Edmonton really needs why would they eat some of his salary? What about Pittsburgh? I know they are a cash strapped team. They have spent quite a bit on their top level players already so this trade would have to have the Oilers eating some of his salary. Is that possible? Only if they send something back the Oilers want or need. They are deep in defencemen, so that is always a good possibility. Your guess is as good as mine. PITTSBURGH? 10% chance. Unless MacT is a real salesman, I think we see Hemsky still start the year in Edmonton with the understanding if he plays good, a Stanley Cup contender may trade for him before the deadline.Worst case scenario, one of Edmonton's top 6 goes down on one of the wings and Hemsky moves up a spot to the 2nd line and actually does return to scoring again when it matters. I have been told by a few different places to look into some other options for him to go to Vancouver, Minnesota or Anaheim. Not sure I can see that happening myself but can't say never. 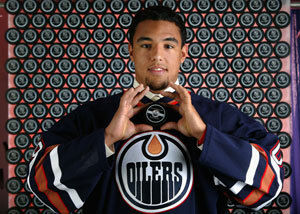 At 6'2 and 204 lbs Oscar has becomes the 'Oilers' next great hope. Oscar Klefbom brings a good size presence in the form of a player who has game already. After years of watching Jordon Eberle, Taylor Hall, Magnus Paajarvi, Ryan Nugent-Hopkins and last year Nail Yakupov, dominate the attention at Oilers Development Camp, Klefbom and fellow blueliner Darnell Nurse were the ones who were being watched closely this camp. Klefbom had many eyes upon him last year and before his injury was actually scheduled to be at Oilers training camp in September 2012. As fate goes, he was injured and was not able to attend or even play the rest of the year. This year Nurse was all the ‘craze’ for MacT and the player he obviously was coveting if Monahan was gone at their drafting position. Center and defence is what MacT has preached and so it should be. This years camp had maybe 75% of the total amount of fans visiting compared to 90-100% capacity at the previous 3 camps held in Edmonton and/or Sherwood Park. It’s a given without the excitement of a #1 OV draft selection, things are not as pretty as they are becoming solid. I have given MacT somewhat of a hard time in regards to what he has done, but selecting Nurse will really stabilize the back end of the Oilers defence for years to come. This years camp was very little about the forwards (all the young prospects are already playing for the Oilers) and more about defence. With Musil. Gernat, Klefbom, Nurse and Simpson you have a pretty good group of prospects on defence to watch. You can always find ways to pick apart a defence corps in comparison to forwards but this group is looking good for the future. 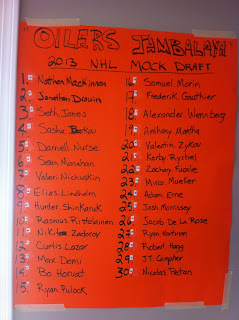 Notice the size of the Oilers D-men coming down the pipe? They are big guys (maybe not all filled out yet, but will over time) but none stands out as ready as Oscar Klefbom. “The Bom” as I like to call him, stood hands above everyone else at this camp and he should. He has played against men for awhile, is big, solid muscle, good hockey IQ, a leader and solid character guy as mentioned by those closer to him. Not to mention this is his second camp and the 2nd time around is always easier. Just ask Jordon Eberle! Sure Oscar made a few mistakes here and there but the drills are made to expose area’s on players to show them what they will need to work on. Be it positioning, stick work, skating agility etc..every player has work too do. I have followed these camps since 2007 and each year even the #1 OV selections struggled on different drills or at different points. This development camp is not about evaluation but about development. Having said all that, Oscar Klefbom IMO has arrived to the point of readiness. I know many fans say ‘he needs time in the AHL’! How can you make that call, when you have not seen him play against actual NHL players and in game situations. For me, Oscar is ready for that 3rd pairing role already in Edmonton but he should have to earn it. If other players are stronger back there, send him to develop in the AHL awhile but let’s not judge him to quickly. Maybe Oil Country is tired of promises only to see players fall short or not used correctly. I like what MacT is doing by loading up on depth on defence. Klefbom will have his hands full this coming 2103-2014 NHL season competing for a position but I suspect he will be the player who walks out of the battle w=victorious because he is ‘just that good’. I was OK with Oscar and where we selected him but have become even more impressed with what we may have in the future. No pressure on the young guy, let’s just give him a chance before we judge where he should play is all I say. As far as Darnell Nurse? He showed some promising size, learned some new skills to apply at the Jr level for practice and let’s hope he shows good arrows this year in the OHL. 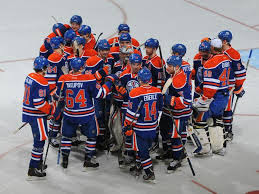 NEXT POST: What Possibilities are left for the Oilers? Was 'Free Agent Frenzy' enough? 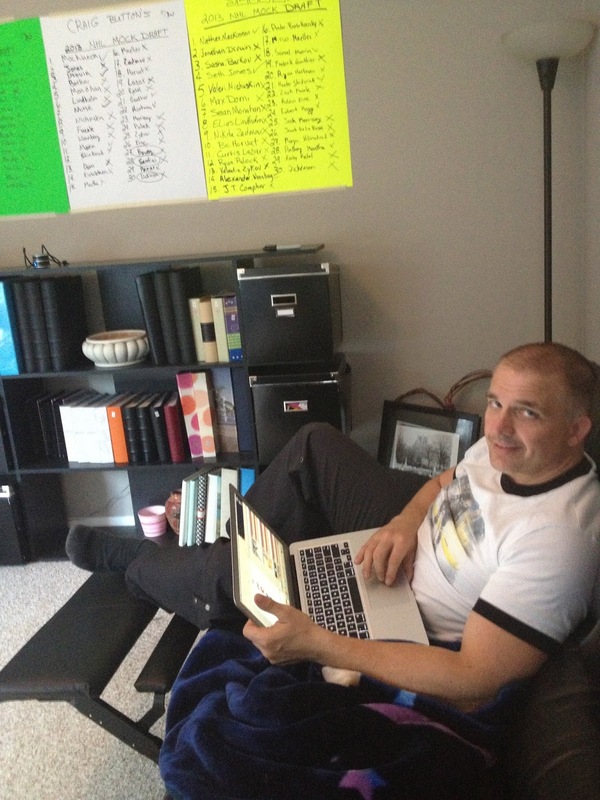 I really wish I could sit here and write and tell you how well MacT did since he took over at the helm. The bigger question remains, 'is what he has done anything different then what Tamby was already doing'? For me, there is lots of talk, but little results to follow. I know he has made moves and some fans are super excited about Horcoff moving on. Some fans feel like these free agent signings are a sign he can be a mover and a shaker. Not really a improvement until we see the difference on the ice cause we have now a inexperienced coach who has promised a lot but has not. Every single coach coming in talks big and says how this team is going '....' but in the end there is very little difference. Things SOUND good but as of right now, I don't hold out much hope. Again this is something that even Tamby did , so nothing to note of significance there. a move that may sound good but can't sing his praises until we can see if he actually can play in the NHL. Again as much as people think this was a huge deal, not really. Horcoff is a quality center in the 3rd line role. It is not his salary it is his cap hit. On some teams they want that very benefit and as much as some want to say and claim it was unlovable, it wasn't. We can argue all day and night that we disagree but that contract was not that impossible at this stage now. Yes, he needed to go, not because he was bad in his role but because it was time to move on. Not a big deal or something that Tamby would not have been able to do either. Sorry, but Ference's contract over 4 years is not a value signing on Free agent frenzy day. Glad they have a player who wants to be here but he is not a 2nd pairing d-man. Maybe he is on this Oilers team but I would rather see another player who has some size maybe and can do the same things. Also the wrong shot player we needed. Time will only tell on him. Goalie? Ok, we got a back up, Tamby could not have done that? We signed Boyd Gordon who was a solid 3rd line signing but while stats show him playing well, we have heard and saw others come in and fall apart. Sorry the other signings don't even count cause once again Tamby IMO could have done the same. In the end, I am still ok with MacT in the helm of the GM chair but let's not praise his 'accomplishments' until actual success has gone hand in hand. Still waiting to see what will happen with doing something that will actually help this roster. I like the strengthening on the blueline but once again it is a wait and see cause neither is proven to the extent they will be relied on. My grade for MacT to date? I will give him a C+ for hard work and effort. What I do believe is MacT is a learner and as he grows in his job he will get better, that is what I am optimistic about. In light of recent activity both good and bad in many people’s opinions, I have decided to now put my ‘Oilers fan’ hat aside and put on my ‘Oiler Blogger’ hat on. I know, my last blog basically ripped MacT and the Oilers (as have some of my tweets on twitter @revingev) but today it is time to take a different perspective of the Oilers organization. 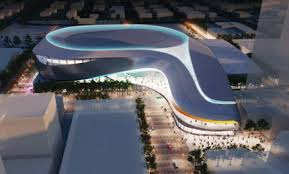 After years of ‘retooling’ and ‘rebuilding’ or whatever you choose to call it, the fans in Edmonton and Oiler fans around the NHL have grown impatient over the progress the team has made in recent years. Many people felt and still feel that nothing is really going to be much different this year from any other. Will we see progress again this year slightly over last? Maybe, but not much other then the continued maturity of the skill players the Oilers already have. In all fairness, if MacT had to do it again, would he have proclaimed to make bold moves , say he was an impatient man and/or tell people if he did not return from the draft without some roster players it would be a disappointment? I think he still FEELS that way but being a new GM, he was hoping he could be a mover and shaker and do some things differently. There are a number of reasons other teams seem to make moves and not the Oilers in my view. Are they factual? I have no idea other then just speculating or as some say, just guessing based on what we have seen or heard. IMO these are the possible reasons the Oilers seem to miss out on great trades and or free agents. Why not trade for and draft or reach out to UFA’s who like the spotlight? Sure they may be a little cocky or have some attitude, but is that so bad? I know we want character players but do we always need polished boys who say or do the right thing? If they don’t help you win, why does it matter? Just a thought! On the other note, I believe the team is going in the right direction with our new downtown arena complex. Nothing like a good time in a positive environment with state of the art facilities. Great for the players and the fans. Every player who says winning the Stanley Cup is not important should have their head examined cause that’s why they are paid to play. We don’t pay them to look pretty, provide a nice game here or there and collect there cheque. Every fan, dreams of their team winning or at least competing to win the Stanley Cup. In the end, we should not be upset at a player who does not want to come to a losing team. Sorry Oiler fans but we all know, at this time we are close to being a winning team but not yet. Sure we can convince some we are almost there but in the end, players want to come and play for a winner. Hopefully soon the Oilers will arrive there. Allow time for the young core to develop and surround them with the best staff available. Pick a system and stick to it. Also stick to the plan of how you want to build your team. (ie: Big and mean VS Puck possession etc…) Fans will be willing to wait if they see continued success each year. With that, to be a winner you need to take chances in your trades. No complaints really in amateur scouts but there is in the pro scouts. Their success has been terrible and when you keep doing the same, your results stay the same. Let’s find some scouts who know how to find good players once in awhile. (ie: Glencross, Ryan Jones) through small trades and or waivers. We need to have more hits then misses. Winning teams have players who go out and pursue the UFA’s when they are available. Before a player becomes available they are already talking about possible teams to join in the future. It’s not wrong for a player to recruit early, there just friends, however a team recruiting before UFA time is illegal. Philly players help make attraction better, Boston does the same as does Pittsburgh. Even Calgary in the past worked hard on personal recruitment among the players. It may not be liked by some people but it is happening and if you don't jump on board you will get left behind. Recently we saw this with Justin Schultz, however this seldom is seen. In today's post-modern way of thinking, players who are younger are more interested in being ‘wanted’ or ‘needed’ then in the name on the Jersey in the front. Continue to make this a priority of the players selling the organization rather then the GM’s and such. Sure they want to see the President and the GM but more importantly they want to see ‘friends’ asking them. Key point here is to think of what is most important to ‘people’ NOT to ‘players’. Sometimes we forget that these guys don’t need our city, our city needs them! Should we bend some? Absolutely, it’s a business, do everything we can, and with this young core we have, make them the recruiters. I know this may sound like such a small thing but it is important to have a locker room where teams learn to rely on one another and work things out among themselves and even self-motivate each other. We have heard of several rumours over the years of locker room problems. Some is always bound to happen, the question is rooting out the ones who are not team players. It is a new day and age , most the old ways of developing team chemistry is gone. Adapt or be left behind. 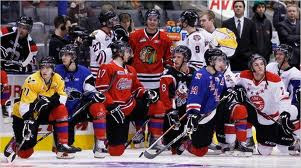 If a team is run like a hierarchy it can reflect in what kind of team you have on the ice. Giving more responsibility to your team is important to that chemistry of a winning culture. Every team needs to be encouraged to give their input. When a player feels valued it will change their whole attitude and way of thinking. I know this will be unpopular to Oiler fans but we can not continue to think as a organization that we can win every trade. Someone has to lose and unless your good at it , you will likely lose a few. Sometimes they can work both ways but most times there is a loser in the deal. You cannot get better by trades without trading better players who have value or at least ‘believed’ value. When your considering trading someone, don’t tell the world you need to move them. Don’t sit them in the press box. Highlight them in their strengths on the ice and make reasons in the room and with the player as to why your making the changes. (ie: Ryan Whitney value is decreased with the way he was played and even critiqued in the MSM) Find a way to speak positive of players but yet working on improving their challenges at times. I believe Todd Nelson was always good at this. Sure he spoke highly of players (after all, they are humans not robots) but he also talked about area’s to work on. 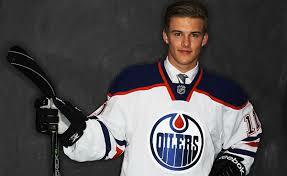 Too often in Edmonton players are ripped apart and that information gets dissected by other teams scouts. A little strategy in how we handle critiquing could go a long ways. In addition how we handle disgruntled players will go a long ways in seeing them traded for at least something rather then rusting in our organization. Have we also forgotten that the way we treat a player can spread like 'wildfire' in the NHL among the NHLPA? Just a thought! Having said all that, I am not employed by a professional hockey team and never have been, so what do I know? What I do know is how people want to be treated regardless of how much money they make. Team building and training is what I do and that my friends, I believe goes a long way in developing success within any organization. The Oilers have tendered 6 players. The Oilers have tendered 6 players today, Fedun, Harikainen, Gagner, Tryvainen, Paarjarvi, and Hovinen. People they did not tender. Theo Peckham,Tuebert, Plante and Cornet these players will become UFA's on July 5th. Thoughts on not tendering Peckham. Peckham was a very disappointing player this season so I understand why they let him go but maybe they should have tendered him and traded for a 4th rounder or something. I agree with everyone we did tendered except for maybe Tryvainen as I don't think he will turn out plus he is going to finland. More news to come on this subject. 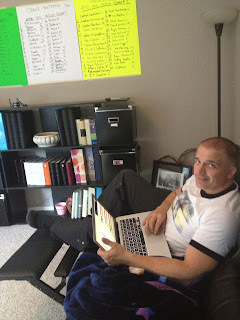 Keeping on top of all the twitter rumours, TSN , Sportsnet and other outlets was not easy. Not to mention keeping up with information on Oilers players we barely knew. Ok, having now covered the fun part of the draft (making predictions, good food and drink, and good company enjoying being a draft junkie with prospects) that moves us onto what actually happened in New Jersey today. What exactly did happen in New Jersey? 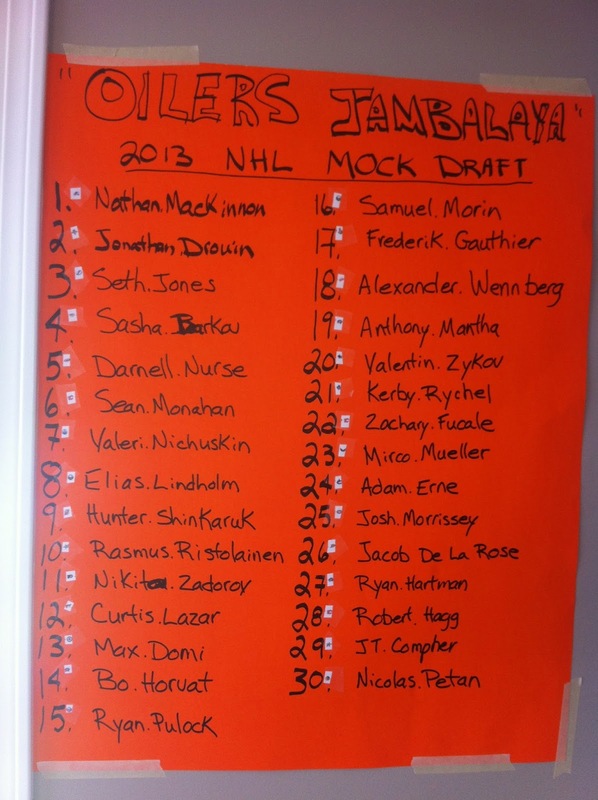 Sorry Oiler fans but I will not sugar coat this draft and stand by and hear how we tried and it is hard. Mr Dithers did that and got ripped for it. Not a real good move losing our 37th pick for 3 others in later rounds when those other picks have even a lower % chance of ever playing in the NHL. At least at 37 there were a couple more good d-men, Triston Jarry was still on the table as was Eric Comrie. What about Robert Hagg? Should I go on? It was a real 'Feaster' move and it reeked big time to me. Was I ok with our #7 pick in Nurse? Would have really preferred Nichuskin but will trust that Stu had more to say on this and that they have good Intel on Nurse not everyone did.Not to mention other teams passed as well, so it was not just the Oilers. I was hoping we would make a trade with those draft picks in 2nd round or the newly traded ones but nope! Nothing, zilch, this draft was all about restocking the cupboards. Really? You know what? I am just going to say nothing rather then say something I will regret down the road. This draft reminded me back to 2007 draft and the disappointment it felt like picking up Riley Nash and Alex Plante in the 1st round?